So the pinch of salt for today is to remind you about our food barrel out in the gathering hall. 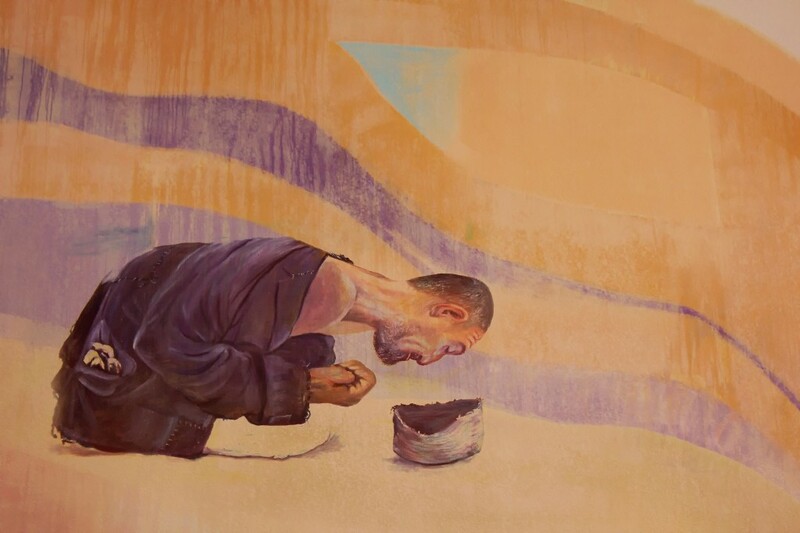 There are over 100,000 people in Contra Costa County who live in poverty. On any given day in our community 1 in 5 children go hungry. One very easy way for you to help with this distressing situation is to put non-perishable food in the Food Bank Barrel each week when you come to Peace. Twenty million pounds of food was distributed by the Food Bank last year. 1 in 8 residents rely on the Food Bank and 1 in 4 emergency food recipients are children. Pick up a few extra cans of food when you are at the grocery store and drop them off in the barrel every Sunday. Thank you if you are already doing this. Many of us have voiced concern about the aftermath of this election, not only in terms of policy, which will further hurt the poor, but in concern for the safety of minority groups. It will be important for us to be vigilant, informed, and to speak out when we witness injustice. We will be in good company. In the company of the prophets, Jesus, Dietrich Bonhoeffer, Martin Luther King Jr. and Nelson Mandela to name just a few. Elie Wiesel said in his acceptance speech for the Nobel Peace Prize in 1986: We must always take sides. Neutrality helps the oppressor never the victim. Silence encourages the tormentor never the tormented. Ron has written a reflection along these lines which you can pick up on your way out and it is also on our church website. Often there is a cost when we speak out against injustice. Sometimes it is a small cost and sometimes it is life changing. I am proposing something to you that is simple but powerful. In the wave of reactions to the 2016 election, safety pins have taken on a new meaning in the country. Some Americans are wearing safety pins as a symbol of solidarity with victims of racism, homophobia and religious discrimination. A safety pin will symbolize to those who are fearful and threatened by hate that we are safe people who will love and support them and will work for God’s justice. 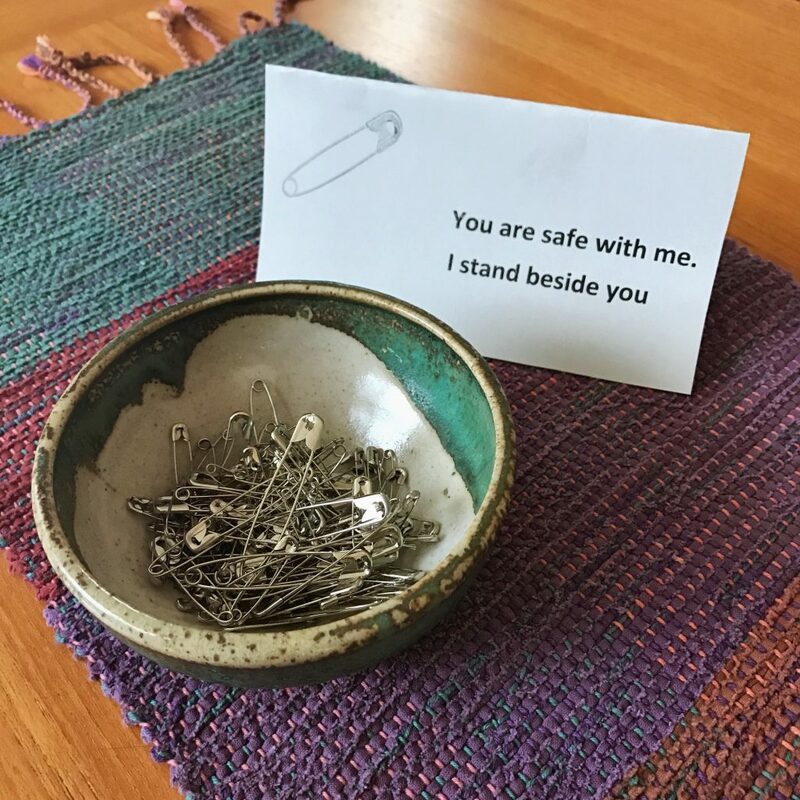 On your way out of the sanctuary take a pin and be part of the movement: You are safe with me. I stand beside you.